WHAT IS AN INTEGRATED BRAND PARTNERSHIP? ‘How can our company increases our revenue?’ is a question that often raises its head. Making money, also known as creating revenue, is after all what businesses are all about. The answer maybe simple, as in sell more, however that is often far more difficult than said. Particularly in today’s world that is saturated with businesses left, right and centre. Solutions to overcome the difficulty in reaching that yearly target is order of the day. In other words, how can a Brand withstand pressure yet flourish and end up with a better ROI (return on investment) than 12 months ago? Within the worlds of Brands and Brand Identities there lies an answer. One word comes to mind: collaboration. One question though is, what does that mean? Fact of the matter is that trading on various platforms is becoming more and more popular and effective in today’s world. Therefore it is imperative to be visible and active on- and offline. This mean any platform where services and/or products are presented, explained and offered to customers. It will be rather unintelligent not to make use of this opportunity to get more bang for your buck. To be more specific, the solution is Integrated Brand Partnerships. In short: When Brands Join Forces. Reading an article on the Econsultancy website made me put my thinking cap on and put thoughts to paper. The writer James Cristal explores 5 examples of where significant brands collaborated in order to not only increases customer retention, but also to increases revenue. Having a renown Brand is one thing, but having the insight to incorporate another renown Brand with your own is a great idea. Not only is a company going to maintain their popularity they are also going to enhance sales and create a magnificent user experience for their customers. And that, ultimately, is what differentiate a good company from a great company. Now that it has become more clear as to what such a Partnership is about, the challenge is to figure out a way of making it happen. It isn’t a matter of putting any 2 together either. There is no point in joining 2 Brands where one is like oil and the other like water - we all know that doesn’t mix! Coming from a Brand Partnership environment, I have on many occasions been presented with the task of blending 2 Brands that compliment each other and work well together. The difficulty isn’t in finding the two components, but it can be very tricky to find the right solution for the process to work. At the end of the day the relationship has to work very well so that both parties benefit. Therefore the major part in a Partnership campaign is finding the right creative solution. Working closely with both sides the main point is to find the reason for such an integration. Mostly it will be around exposure and presentation to customers hence finding a visual element that does the trick. After all, the task at hand is to grab the customer’s attention and supply an opportunity for them to participate and experience a great service. In short, catch the attention of your customer at their most vulnerable moment. At the end of the day, the purpose of any Partnership is to add further value to the customer’s journey. The best way to facilitate this feature is to offer a way for your customer to be exposed to another partner’s facilities, but without running the risk of customers leaving or forgetting about you as the host. Ultimately, offering them another service, but all within one place - Your Environment. We have to remember that even though the aim is to provide equal traction for both sides, there will always be a primary and secondary entity taking part in any campaign. It is understandable that one platform will provide the main attraction where the second player will obviously be happy to participate because of the strong, possible winning end result. It is not a situation of one being better or more efficient than the other, but rather that of both realising that together they can reach a much higher level of success. For the best results it is imperative that these campaigns are executed seamless so that the customer are almost unaware of it happening. If this can be achieved, then you walk away with a win-win moment. It will also mean that there is a big chance the two players will partner again. Once it has become apparent that a collaboration works well, many occasions will be created to do it again. Having quite a few successes under my belt within this field, I can say that it brings a great amount of satisfaction to all involved in a successful campaign. The exposure for clients’ products/services has been, is and will always be a plus factor. Many sales teams will be patted on the shoulders for instigating such a great win. Creative gurus will receive kudos for an excellent format and those who host the campaign will realise how important it is to work with others. Revenue of course plays a massive part, however the relationships built will persevere for time to come. Taking on the role of the one-stop-shop between all of the different parties that partake in such an exercise, causes me great pleasure. It is amazing to be able to coordinate various departments and bring a campaign together. Without my extensive knowledge I built up during many years, I reckon none of this will be possible. Needles to say, I thrive within the world of Brand Partnerships. Apart from anything else, it places me in a situation where I can upheld both Brands and their key messages. May it long, long lasts. … and You can put any mountain behind You. Sounds fairly simple, right? However, when it comes to getting the ball rolling for the year ahead, the desire may come easily until you realise the fact of the matter is, it isn’t always that easy at all. Looking (at least) 12 months ahead at your work and life can and is quite scary. Even daunting for most people. So much so that the Goal Setting exercise is limited to only thinking about a few things that could be done in the months to come. The secret to fulfilling those ideas is not rocket science. The truth is that all one has to do is put write down those thoughts on paper or type it into a document. According to the Dominican University of California, close to 75% of people writing down/typing Goals had a much higher success rate of achieving them - in contrast to those thinking and/or keeping their goals only tucked up in your heads. Where are You & Your business heading? Here is some guidance from Bob Proctor: “A proper goal provides the necessary incentive to grow in awareness - and every aspect of your life is a reflection of your level of awareness”. Personally, a lot has been picked up from working in a corporate environment for many years. One that stands out like the proverbial sore thumb is Goal Setting. It was great to be introduced to it years ago. Something that now comes natural and are done religiously at the start of every new year. In January thoughts are arranged into at least 3 Development sections: Entrepreneurship, Business and Personal. Setting out a strategy for each part of life as a professional working individual is order of every new year. To sit down and calmly spend time making decisions for the next 12 months is one of the most satisfying exercises one can do. It puts the future into perspective and creates a track that encourage the mindset to move systematically forward. A golden rule to follow is that of creating SMART Goals. Setting massive, almost out-of-bound Goals are, from a personal point of view, not that productive. It is good to be ambitious, however being realistic is a much better route to follow. Over-the-top Goals can easily lead to disappointment and discouragement. One can feel like a failure and that easily leads to negativity in thought and mind - something that should be avoided at all costs since being positive is a much easier way to live life and being successful. So, be SMART about your Goals. Take each page at a time. Write a Goal and follow on to the 2nd column and then the 3rd. The 4th will be visited throughout the year and completed by the end of your 12 month cycle. Do this for each page you created and very soon you will look at a great lot of words that stare you in the face. It is so much easier to visualise what needs to be done and by when once you see it with your own eyes. People do tend to say why should I create a document? It’s all in my head in any case - trust me, seeing it in black on white cement it in your head and give your mindset a real good boost. There are people who (unfortunately) think that once they created their Goals it can stay in a folder somewhere on their computer. Their attitude of I am going to look at it only in 12 months from now is defeating the purpose. A regular visit to this document will not only refresh your memory it will also make it clear where you are with those goals as the year go by. A healthy suggestion is to add at least 4 reminder dates to your calendar. Every 3 months is good timing. This will give you enough time to get on with business in general and easily let you cast your mind back to what you have achieved and where you are in making progress. Here is where column 4 gets the action. Note down the date your visit takes place and next to it whether you have already accomplished, slightly progressed or still have to work on the particular Goal. Quarterly visits will also help a lot at the end of your 12 month cycle to see the full picture with no need to open your diary searching for accomplishments or wreck your mind when you actually demolished a goal. Every year your Goals’ intensity will increase. Your aim will be higher than before. You will most likely put a bigger demand on yourself and your business. Don’t let it deter you. As mentioned before, there is nothing wrong with being ambitious. Nothing prohibits you from setting the bar a notch higher than last year (actually, it is a very healthy approach). The important thing is to continue to set Goals. Continue to visit them regularly and be strict about them. At the end of the day it’s up to you, but having these milestones set out loud and clear will help you with you strategy towards success. To be brutally honest with you, Now Is The Time to get going and set out milestones for the next months ahead. Good luck with your Goals! It will be worth it every time - I promise you that! WHAT MAKES ONE A GREAT LEADER? Do You look at someone known as a Leader and wonder what it is that makes them to lead You to work and/or life satisfaction? Are You intrigued by Leaders? Or maybe You believe you show possibilities to Be a Leader. The title Leader or holding a Leadership position very often applied to a person who, as the dictionary explains, is ‘the person who leads or commands a group, organisation, or country’ and is to take ‘the action of leading a group of people or an organisation’. Purely going on what this sounds like, it is obviously a very important role. This brings me to the question, what are Leadership Qualities? Whilst researching this journal post I came across a tweet from someone who is an integral part of my close-knit community: Cherie Aimée. The video she refers to is a MUST SEE (if you haven’t already done so) for all Leaders or those striving to be one. Apart form the fact that Scooter Braun is a fascinating individual, his slant on Leadership is phenomenal in the video. It resonated 100% with me. Not for wanting to piggyback on his explanation, the topic is dear to my heart hence this article. From the 6 Qualities of Leadership about to be discussed here within, the one Scooter Braun is very upfront about is exactly the same one that yours truly would put right at the top of the list: Integrity. The ultimate distinction here is that others must be able to identify with you as a Leader. Therefore strong values, strong ethics and strong character traits are required. The long and short of it is, having the ability to take something small and turn it into something big. Not forgetting to keep all those involved updated as changes occur. 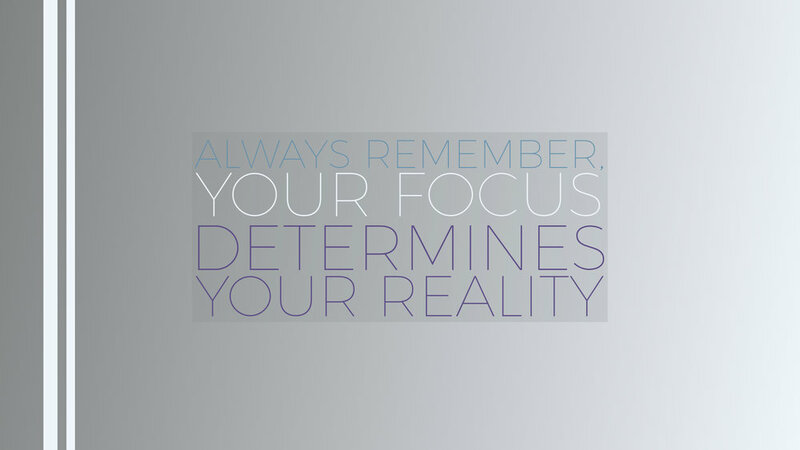 The focus is first and foremost on others - Every. Single. Time. Performance feedback is crucial and should be obtained regularly. The principal point here is to manage the emotions of others. One can only be successful within this realm by knowing how to manage ones own. Having the confidence to face difficulties is such an awesome personality trait. This can be done successfully when the focus is on the journey rather than the destination. Lend a hand. Offer help. And most of all, be positive in doing so. Now that we know what it takes to be a Leader, the question is: How do I incorporate these 6 points in leading the way? Without hesitation, please let me invite you into my world. Integrity - To lie is not for me. Ages ago I learned it is something utterly uncomfortable to do. Even when I know the truth will not go down well. There is no point I even attempt the disclosure of facts I don’t know/believe/understand/etc.. I’d rather be honest, than 2-faced. Vision - Visualisation has always been part of my life and my career. The strong believe is to see what you want in order to achieve it. The best way to create the picture is to spend quality time with your own mind and design your future. Humility - By putting the needs of others first, it honestly creates incredible satisfaction in the long run. Not only for others, but me too. By doing so, the outcome is very positive. And guess what? The return on your investment in others comes back tenfold. Win-win situation all round. Self Awareness - Emotion is an integrable & inevitable part of life. Personally, I strive to always remove my emotion from business decisions. That said, being aware of how to deal with emotions is much needed when you lead others. Once you have nailed this issue within yourself, you can comfortably help others with theirs. Commitment - To see the whole picture comes easy to myself. Only then walking the path towards the end goal can be enjoyed. And once you enjoy the journey, the destination is a byproduct of your efforts. Assistance - If the number 1 trait on this list is a personal favourite, then this final trait is the best one! Nothing beats being thankful and grateful for what others do for you. More specifically, how others support you. Throw in a great dollop of generosity and it becomes not very difficult to inject a huge lot of positivity into others’ lives. And that is what makes the difference - in life and work. To be great at Leadership one must ultimately be in possession of the above attributes. It speaks for itself. Leaders are people that don’t Tell You what to do. What they do though is Show You how It Is Done. Within my Entrepreneurial Life the strive is constantly to help others move forward in a positive manner. Being in a situation where my experiences can be applied to the need of others, cause tremendous satisfaction. It also, time and time again, injects drive to achieve more personally. So all in all it is winning position. My clients and/or students receive fundamental advice and in return it shows me that I am making good use of my knowledge. Mentoring forms a crucial part of my business. When I started out I didn’t really thought that it is an avenue to pursue. However, it took only one mentoring assignment to made me see the light. It has turned out to be one of the most fulfilling parts of my business. Guiding others and showing them how they should proceed in what they want out of business (and life) is great. To stand back and see the great outcome when someone takes on board your advice is beyond thrilling. Pardon me for sounding over excited, but once you have been in a similar situation you will understand where I am coming from. Leadership is a vital part of not only ones success, but also those of others. Take some inventory of your own knowledge, experiences and work ethics. If you feel that you can relate to the 6 qualities mentioned above, then go forth and be The Leader You are Meant To Be. You can reach me here, on LinkedIn, Twitter or Facebook. How many topics are there on your to-do list for 2018? Far too many? ‘Of course!’, I hear you say. It is common knowledge that all of us struggle with tasks at some point within our busy schedules. Having a list of tasks as long as your arm means that we easily feel overwhelmed, stressed and even depressed about getting things done. Again, it is common knowledge. Since it is the beginning of a new year, I reckon we all have some plans for the next 12 months. However, the question is, how will those plans turn out? It will be a miracle if some, leave alone all, of our good intentions actually manifest into reality, right? There is a solution at hand. You can create your own miracle. Not wanting to sound patronising, it’s an easy one. What you need is a Structure. Also known as a Plan - a Plan of Action. I came across a blog entry by one of the world’s best leaders, Tony Robbins. He has put together a post outlining the top actions to follow for creating, what I call, your winning plan. How Can I Create A Compelling Future is a short and very powerful article about how you can achieve what you want. Before you think ‘oh, here we go again with goals’ do yourself a favour and click on the link to that post. You may be pleasantly surprised at what you find. It truly is short, sharp and to the point. In other words, easy-peasy! Once you see your aims in black on white, it will be much easier to remember and accomplish them. Many people think they will keep it in their minds only to find a few days down the line, they can’t remember some, if any, of it. Either grab a pen and paper or let your fingers do the walking on a keyboard. The best way to start is with the word SMART. Yes, you have to be smart about it all, but that is not exactly what I mean in this case. 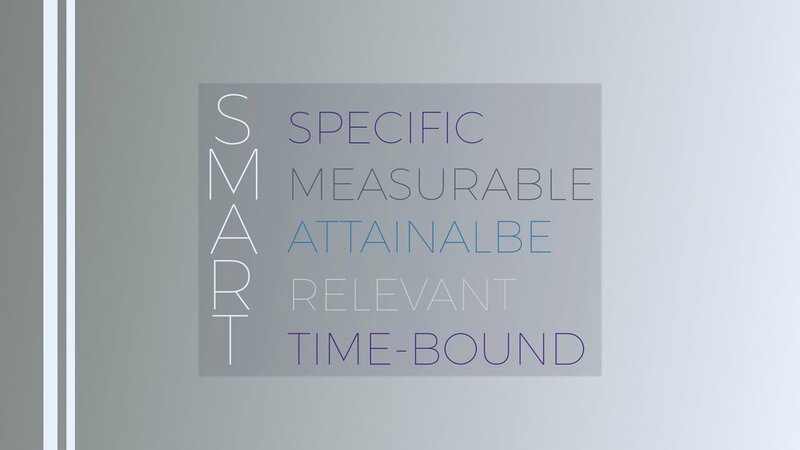 SMART is short for a 5-set Law Of Principles. Each letter should be used as the starting point of one principal. In short it stands for Specific, Measurable, Achievable, Realistic and Timeframe. Tackle your aims and apply these 5 principals to each and every one of them. Once done, you will have a clear vision of where you are heading. It will also help you to maintain a strong flow once you start to take action with what you want. Next up is a brilliant suggestion by Tony. You may find that you have quite a few things in mind so your list could be a bit lengthy. Now is the time to be brutally honest with yourself. Follow Tony’s 3 Steps and you will end up with a concise and very definite version of what you’re aiming for. When done, pat yourself on the back since You Have Done It. Yes, you have put shoulder to the wheel and created a set of realistic desires for the next year. Massive Kudos from me to you! Congratulations. Even though you have not started the race and is by no means close to the finishing line, you are in your starting blocks. You are Ready to kick off in a major way. You can see the track all lined out in front of you with your very own eyes. Basically, You Are Set. Now is the time to shoot out of your starting blocks and start running like hell. So, let’s Go. It’s all action from here on. I personally wish you the best for the road ahead. Even if you slow down somewhere along your journey, the main point to remember is to Keep Going. Feel free to share / comment / send me a message if you can relate to this post. As always, if you have any questions, don’t hesitate to reach me here, on LinkedIn, Twitter or Facebook. 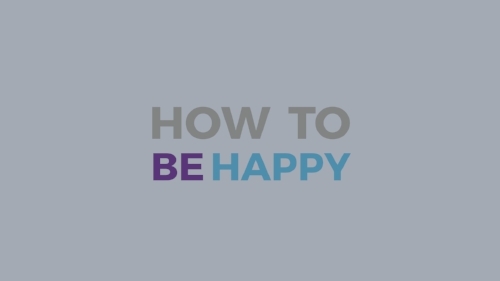 Here’s a question of you: how happy are you? Not only at this exact moment in time, but overall and in general. Now, there are as many people that can answer in a positive manner than what there are who are totally taken aback by the question. If you have to think about the answer, then that says a lot. It doesn’t necessarily mean your life is bad, but hesitating most likely suggests there are certain parts that may not be as you would prefer it to be. Maybe you think why fix it if it’s not broken and to a degree I agree. But, if you then think about it, in all seriousness, and then be brave enough to admit that the negatives overshadow the positives, something should be done, I believe. We all have so many tasks to do per day that when I came across an article by Dennis Brown in HUFFPOST it made me stop for a moment and make an inventory check. Dennis points out 7 ways for us to get back on the happy trail of life. You are the most important person in your life. So Take Care of Yourself by allocating a few minutes a day to learning, improving your mindset and do some exercising. With electronic platforms being such a predominant feature in our lives, I do myself a favour and literally Ignore My Devices for a period of time each day. Give it a try, you will be amazed at how good it makes you feel. Take note of what you have in life and Be Thankful for it all. Even if I think I don’t have that much, I remind myself that millions out there have far less than me. Make time on a regular basis to Be In Touch with the people in your life. Even a small gesture will be much appreciated – plus I enjoy the act of selflessness within me for remembering others. Share With Others your time, knowledge and love. Even though it can be tough, I work hard to do it unconditionally. That way you will most likely get it back tenfold. Leave The Haters behind and stick to those who show compassion and love for you. Negative people obviously drains me from energy and joy in life. Stand Firm when self-doubt rears its head. Believe you are a great human and that you can achieve whatever you put your mind to. Practising self-belief is a daily exercise for my mind. Life is much, much shorter than what we think and believe it is. Therefore, make the most of it. Don’t just count every single day, but count every single second. We have no idea what lies around the corner, so don’t let Life gives you a nasty surprise. Set out on a daily basis to take full advantage of what you are being given. Yes, that is a tall order, but do it in any case. I guarantee you will be more than pleasantly surprised by the outcome of your actions. Do not wait for others to grant you happiness and fulfilment. Do it for yourself. What will happen is that those around you will be affected in such a positive manner that they will look up to you for inspiration and motivation. The bottom line is… Make. Every. Day. Counts. Fall asleep every night knowing that you did the best you possibly can today. And most of all, that You Are Happy. Here’s a question for you: in society, what is considered the first sign of madness? Don’t think too much about it, just say out loud what first comes to your mind. How I wish I could’ve heard your answer. Actually, the fact that You Answered Out Loud is enough. Scientists have studied the phenomenon of talking to yourself for ages. In the best parts of our society it is believed that this is the first sign of madness. That in itself shouts negativity. The one who utters such a phrase to someone is immediately suggesting the person spoken to has a mental issue. Luckily it has been proven over and over again that Talking To Yourself makes You Smarter. Reading a post from Grant Cardone on cnbc.com highlights the smartness of having a conversation with yourself. As a NY Times Best Selling Author, recognized International Sales Training Expert and a motivational Speaker on finance, sales and business, Grant mentions 3 ways how Self Talk can improve You, Your Life and Your Success. To enrich your self-esteem, be more productive and build better relationships, one needs the right approach to life – aka Attitude. You can achieve this by simply focus on Positive Thoughts. It is so easy to get drowned by negative thoughts. However, it is not only much easier but far more satisfying when you concentrate on being Positive. To actively change your mindset to a more uplifting, positive frame, can take time for some. Perhaps it is not your norm for various reasons. In such a case it is particularly necessary to make a definite change in your thought process. Practise, practise and more practise until you see results. Because at the end of the day, You Will See Results for The Better. So you are making progress because you have started to change your way of thinking. No stopping now, so let’s proceed to the next step. For people in general it is easy to speak or talk. Words come and flow easily. In a lot of cases this is where there could be an issue. At the end of the day it depends what you say that will make a massive impact on your Self Talk. The theme of negativity continues… Verbalising negative words will have an impact on your thoughts. So think about it, if you have just started to overcome thoughts that will not uplift you, then why break that process by speaking with a negative tongue? So, change your vocabulary and use words or phrases that are optimistic. To complete an exercise of Self Talk, be active. Not much is achieved by slumping and vegetating. Being non-active breeds negativity which in turn leads to low energy levels which produce an unhealthy outcome. If you have been working on the first two steps by now, Don’t Stop Here. Being active can takes many forms - from physical exercise (in any shape and form) to actually generating tasks. Even completing small, mundane tasks can lift your spirits to another level. I am sure in your life there are things like paying bills, making calls or checking something that you feel is boring or tedious. However, once you completed such tasks you will experience a boost in your attitude. Therefore, tell Yourself to Get Up and Get Going. Better still (a typical saying to myself), lets Tick That Box. Many years ago when I was a young child and whilst playing on my own, an adult asked me: “Why are you talking to yourself? Haven’t you got any friends to play and talk to?” At the time it didn’t make such a bad impression, however over the years thereafter it had an immense influence on me and my self-esteem. Those questions made me to believe that I was crazy. Before I know it, I had a very low estimate of myself. I believed I cannot achieve much as a crazy person. The stigma stuck and caused a lot of anger and pain when it comes to relationships and success. It took time, patience and perseverance to better myself. Thank god I made the effort to change. I set out to change the way I think and continue to talk to myself. For many years now I am a very positive person. Even within the most awful situations, I can find the positive side. It is also much easier to be positive in life than negative. The outcome is uplifting and encouraging to move on and be better today than yesterday. If there is one thing in the world I would recommend to anyone then it is to change your attitude towards yourself, your life and your future. It has, it will and it does bring success. No matter what others say about you, they cannot take away your stern believe in You Being You. Feel free to share, comment or send me a message if you can relate to his read. As always, if you have any questions, don’t hesitate to reach me here, on LinkedIn, Twitter or Facebook. How do you feel about gaining new information? Is it an exciting prospect? The ability to extend your knowledge of a subject can be daunting, however if you approach it with the right mindset you can walk away feeling very satisfied. Learning, or educating myself, has always given me a great sense of achievement. When the decision was made to startup on my own, there were quite a few elements that I knew too little about. One way to obtain that information was to sign up to a course or three and let others be a guide. Nothing wrong with that. However, to seek out the information on your own accord somehow always is so much more fulfilling. Therefore I tackled the proverbial bull by the horns and educated myself in the areas I lacked knowledge in. With the worldwide web at our finger tips nowadays it is much easier than years ago to get hold of answers to all our questions. It takes some research, but persevere and one will find what one is looking for. What could, or most likely will happen, is that you will find bits here, there and everywhere. The fun part (to put it mildly) is to then put it together like a puzzle. First, one finds the pieces with a straight edge and/or the corner pieces and before you know it the border (or outline) is all in place. To follow is to fill in the middle section and voila! your picture is complete. All pieces slotted in and you’re sitting back looking at a complete visual. In other words, you have conquered the assignment of learning how to perform a certain task within your business. Once the know how is firmly in your head, it is time to put your new found knowledge into action. Best bit of advice at this stage is to get going immediately since the information is still very fresh. Practice, practice and then some more practice. Repetition is known to cement actions within us. Once you leave the new facts and skills at the door the inevitable is sure to happen - when you return to put it all to work, most will be a haze and you will need to start again to remind yourself. To study or learn on your own takes a lot of effort and determination. You need to be proactive and resilient at all times. For me it works. Currently there is a new venture on the cards and instead of signing up to expensive courses how to achieve this I am taking matters in my own hands. Yes, I do attend webinars, seminars and talks to get some guidance, but at the end of the day it’s up to me. Some will call it the hard way. Others won’t understand why the narrow, steep road is more attractive. Each to their own I say. It is not a matter of making it unnecessarily difficult for oneself, it is much more about achieving something where there was originally no knowledge of in my head. As a strong believer in one can do whatever you put your mind to, it’s obvious this is the preferred route for me. That moment you reach the end of the rainbow and find your pot of gold is priceless. To sit back and look at the finished task you did with the complete new set of tools in your head, is beyond satisfying. Once you experienced that feeling, I bet you will want it again and again. Believe me the feeling is that wonderful. If you felt some affinity towards this topic please comment and share your thoughts. If you’re in need of mentoring about educating yourself get in touch and lets talk. Have you ever struggled to deal with the backbone of your business? Referring to none other than your clients. Those who keep your business alive - and kicking. To say they can be fickle is an understatement. As we all know, they want, they need and they command. Most of all, they make what your business is and stands for. Therefore, without a doubt, it is the most important relationship you can cultivate. Everything has a beginning. There is the moment in time where you spot that particular person. You lock eyes. Perhaps a faint smile and then boom a move is made. Yes, forming a relationship with a new client is like anticipating to date that special person. However, the client relationship is platonic. Obviously. No hanky-panky is on the cards. Well, not the physical type anyway. To woe a newcomer to your business is a tricky situation. You need to tread carefully not to overstep the mark or step on some toes. First impressions always count the most. Hence being on your best behaviour is a must. Be prepared and ready. Remember, your brand is not only what your business provide, it also is who and what you are. In other words, you definitely have to look the part. You are an extension of your company’s brand. Show it. Make it work. And let your confidence speaks loudly. After all, you’re about to take the first step and make a move. It is essential to adopt a strategy whereas you see the situation from their point of view. To put yourself in the clients’ shoes is critical. Only then you can visualise what is possible. This part is not easy and demand practice. The more you set out to figure out how to deal with the situation the better you will get at it. Like personal relationships, the successful business relationship takes effort and careful planning. To dive right in does occasionally work for some, however to take the slow approach is guaranteed to bring longterm satisfaction. Just like there is little need to be over tactful during a personal date, likewise should be implemented with clients. Remember, this is your first time together so use your time wisely. Listen and learn. Make the meeting a 2-way conversation. It is important to collect as much info from your client (regarding their company and needs) since it may be the only moment you get to impress them. Once you have a client hooked on you, the time has come to put your money where you mouth is. Time to present and show them what you are made of. Still not necessary to go over the top with your achievements, but certainly time to make sure the client realises they are in trusted company. Convince them they are in good, safe hands. Build on what you learned about them so far. This will show them that you took note of their needs and what they want to achieve. Remember the bit about seeing it from their point of view - not only is this important now, it will be relevant throughout the time spend together. To accept the need for compromise will make the meeting so much more effective. Yes, the client is talking to you as they are in need of help and guidance. However, it is important to remember that it’s not about you and what you really want. Your desires and plans can come to life, but only with support from them. The best way to achieve this is by putting value on the table first and foremost. Once they can see and believe you intentions are genuine you stand a good chance of successfully let them eat out of your hand. Now that the ball is in your court, play it well. Be the gentleman in the relationship. Show passion and respect. Be forceful within reason. It is still early days and you have to be on your guard. To assume it’s plain sailing from now on is dangerous. One small step in the wrong direction and it’s all over and done with. You may think that they’re loosing out - trust me, the only one really loosing is you. Clients have the knack of moving on very swiftly. There is a long line of people behind you so they can easily turn to the next possibility. Remember, they are fickle. And most of the time high maintenance. Don’t be scared by this. So far so good. Just don’t mess it up right now. Your attitude should be that of in it for the long haul. There is a very satisfying aspect to clients that came on board and then come back again and again. This kind of situation is great since they will keep you on your toes at all times. You will have to step up your game and provide new and fresh ideas for each project that follows. In the long run this will only be good for both your business and you - the complete brand package you live by. Visualise the big picture and broaden your horizon. Now is not the time to be small and narrow minded. To obtain a special relationship is exactly that: special. Even if you’re still within the first project and therefore within the honeymoon period, there is a strong possibility that prospects are looking up. The time has come to cement the trust and believe you have in each other. It is here where the hard work starts. Now is the time to build on the foundation you’ve laid within the first few days/weeks. Make sure that all the conversations weren’t a waste of time. You have made true promises. You need to deliver and stand tall. Don’t fall prey to what so many businesses do - they go stale. There is no need to end the relationship. In other words, to call it a day. That will be far too easy. So for those who enjoy a challenge and are up for it, go for it. Show your commitment and the thirst you have to build a satisfying marriage. Many people will believe that opportunities are far and few in between. Rightly so too. Therefore take the bull by the horns and keep going. If coaching and mentoring is what you need help with to deal with your client relationships, get in touch. What have you got to loose? On second thoughts, don’t answer that. Let’s rather talk and figure out how we can together solve any issues you have. Solutions are on hand. Have you got the thirst for learning? Is gaining information something that inspires you? If like me, you most certainly would answer yes and agree with the subject line (a quote from Francis Bacon). Those 3 wise words speak volumes. When the decision was taken to give Entrepreneurship a go the first thing that came to mind was to educate myself more about my choice of ventures. The need was there for tools to take on this mission of being my own boss. The only way forward seemed to seek knowledge which in return should (hopefully!) pay off. To further your schooling career and life as a university or college student the next platform is not far away at all. With the brilliance of the Internet at our fingertips nowadays it actually isn’t that difficult - or expensive - to gain guidance. No need to sign your life away committing to a bundle of years at institutions. As someone who did the whole further education bit years ago, this discovery was more than an eye opener. It is obvious that the world wide web has incredible information to offer and just how much can be gained for free was astonishing. The variety of teaching on the web is quite overwhelming - understandably so. Millions out there offer to share their knowledge with those of us who seek it. And why not? At the end of the day for some it is a very lucrative business. On the other hand many gain satisfaction purely by sharing what they’ve learned. One platform that can offer such learning is that of Webinars. The fascinating world of webinars is exactly that - fascinating. Topics on offer spread oceans wide. You can literally sign up to learn about almost anything in the world. What remains for you to do is to be… selective. As a person with the tendency for a short attention span the need to gain information quickly is order of the day, The discovery of webinars was great. This platform offers most of the time a 60 minute window of opportunity to learn. There are mainly 2 different webinars. Those who aim to tease you with a few facts only to offer you their solution to the topic at a price towards the end of the session. The other, a far more impressive and satisfying route, is where successful individuals are happy to share at no cost what they have learned. They are delighted to show you how to avoid potholes and overcome hurdles during your new journey. Also what they did to penetrate obstacles - like the proverbial brick wall. Such webinars, as far as one has learned, are far and few in-between. One institution that so far stands out is Entrepreneur. Combining visuals/slides with a live webcam (most of the time) showing the presenter of the session make a great platform to learn from. It is also known for keeping it short and sweet which means come 60 minutes it’s over and done with. Jill Schiefelbein and Ryan Bilello are another two favourites. They share their knowledge and expertise casually not pushing the sales pitch as such. Plain honesty and to the point. Exactly what ticks the box for me. There is nothing wrong with offering a paid programme/course to those whom are logging in online - it is after all your business, your rules, your time. We all need to make money to survive. Personally, the point is that as a startup funds are limited - very limited to be honest. Therefore it is great to get the opportunity to learn and be educated how to progress without having to fork out handfuls of money to move forward. As an ardent webinar attendee the most satisfaction is gained by being selective to whom you tune into. The more webinars you attend the easier it is to realise within the first few minutes if this presenter is going to spend as much if not more time on selling his/her product rather than focus on educating you. There are obvious many platforms out there that provide learning with no price tag at all. If anyone is happy to share their knowledge of institutions/individuals that go along this route of sharing info, please get in touch. It will be great to discover and connect with more such like-minded people. After all, one cannot learn enough. Expertise is a combination of learning and doing. And of course included are a substantial amount of failing… don’t let it scare you - the best part about failing is to learn from your mistakes. Extending one’s repertoire can only be a good thing. At the end of the day it is about the value you bring to the client’s table. Therefore when the opportunity arises to help showcase a client’s brand via an event, one jumps at it lock, stock and barrel. The past few weeks have been bringing back many memories. Great ones in fact. During full time employment many events have been included in the department’s marketing calendar. When the decision was made to set out on one's own the branding of events (to be honest) was not on the list of what the service will offer. However, as many of you will be able to relate to, lots of time the path you walk takes turns, have ups and downs and surprises. Lucky for us it does that. I say. The request for help came in and without thinking twice the reply was an affirmative yes. And so one lands behind a desk in a very cool office space, opening up the MacBook and get going. With minor branding in place, the rest was fairly quickly arranged. An event font was suggested and agreed on - followed swiftly by a handful of identity material solutions and before you know it bob was your uncle. Next up was a visit to the venue - that approved, the space layout design got into full swing. What to put where - how to dress this, that and the other - in other words all systems go. Supplier contact details came flooding back. Great to draw from so many previous experiences. Exactly what the doctor ordered for a wet and windy winter’s day. Jump on the phone - backwards and forwards getting quotes from glass hire to the printing of materials. Grabbing a quick bite in-between answering emails and it feels just like another day in the office (which of course it was). The clock keeps ticking and the days keep going by. Extra help start appearing in the office and soon all desk space is covered with branded materials needed for the launch. It’s great to look around and see one’s design work splashed out across surfaces. All hands on deck - and lest not forget the problematic (or is it sensitive?) printer which comes abruptly to a halt at the most crucial moment of all. Typical. It’s an early morning pick up and straight off to the venue. Today is… Event Day. The itinerary calls for a list as long as your arm to be arranged before the artists arrive just after lunch for run-throughs and rehearsals. Before one knows it the time has come to freshen up and take your place at the entry of the venue. Position oneself well to meet and greet all invitees - handing them their passes and make sure they know where to find the alcoholic beverages. Soon the main room doors are shut - the lights go down and the intro music starts. The time has come for the moment all the work was for. Showtime folks! Let’s rock and roll. OUT WITH THE OLD. TO MAKE ROOM FOR THE NEW. Does it come around quicker every year, or is it just me? Faster than the speed of lightning or within the blink of an eye, here we are at the start of another year. I do mean that - I wish you all a truly, blessed new year. May this leap year be the one where you, me and those around us fulfil dreams, make use of great opportunities and most of all find what you’re looking for! It was, as usual, a bit of a sad evening yesterday as the realisation looms and dawns on one that the festivities of the past 2 weeks are done and dusted. It’s all over for another 11+ months. First up this morning was to remove and carefully pack away all the glitz and shining bits that decorated the home so sparkling during the festive season. Once that yearly task was done, it was back to business - all stops go! No better way to jump start a new year than to find that folder from last year this time where you put down in words that what you wanted to achieve. Revisiting goals constantly during the year is good and keep your plans in tact - however, looking back at them at the beginning of a new year is so much more fulfilling. To see what the ‘dreams’ were last year this time and then ticking them of one by one is great! Yes, and there is the odd one here and there that didn’t quite make the green tick, but hey, perhaps we all know they were a bit too ambitious. That said, it doesn’t mean they can’t be included again this year - one maybe surprised by what one finds by the time we get to this point next year! With a very productive first morning of the new working year it’s time to take matters in hand and really get going. There are some intensive goals put to paper this morning that will take time, effort and dedication. Three things that can be tricky most of the time, but so satisfying once they are firmly a focus point. Putting down the goal is probably not the difficult part. Working out the action needed to complete and reach the goal can be, and is, time consuming. Then you hit the timescale column and oh boy… time to be careful. There has been times when it was disappointing to see that it took longer than originally anticipated to fulfil a certain goal. Over the years it has become clear to fulfil the goal is the important part and not how long it takes. The crucial part here is to keep your eye on the end result even if the road sometimes is rocky and wobbly. There obviously are also personal goals that have it’s place. Even though professional and business goals are imperative, let’s not forget we are humans after all. Hence a very important part of this yearly document is the section on personal growth - that what one would love to do this year. It could be something simple like planning a trip to a certain place or on the more serious side, a fitness regime, a change in eating habits, etc. etc. All in all, keep it real. Be realistic, yet ambitious. Think and dream big - otherwise you can just as well not bother. Most of all… focus focus focus! And don’t forget to live a lot along the way! Best of luck to you all for your plans ahead! 12 months sounds like a long time, but once the clock starts ticking it can be over within a flash. 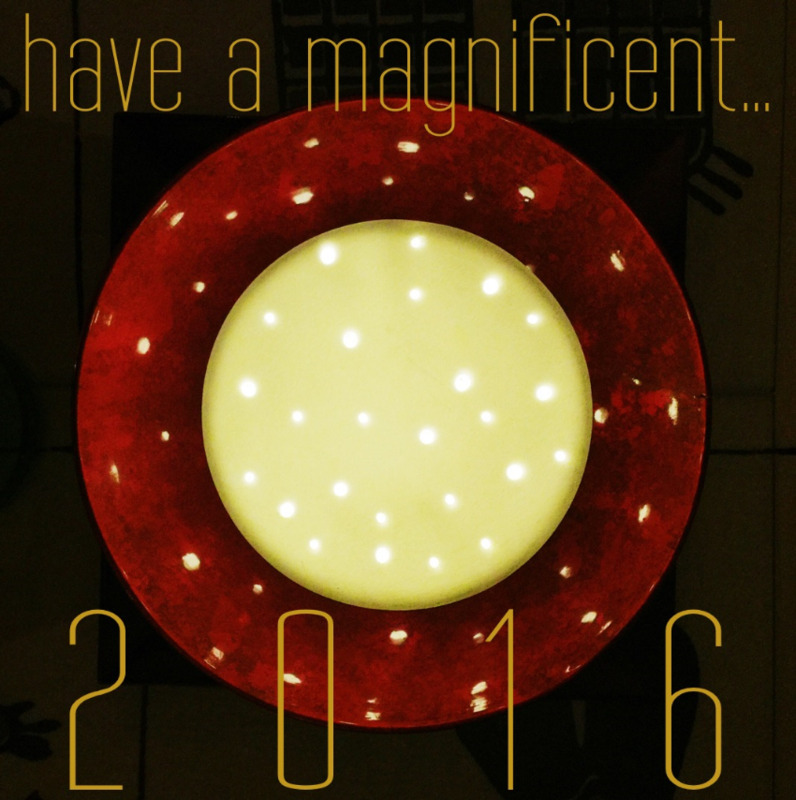 Let’s make the most of this year - after all we have one full day extra in 2016! Have you ever felt like just sitting back and do whatever it is you’re suppose to do, later? Do you get that feeling of ‘I really can’t be bothered to do this now’? Most of all, are you irritated with yourself for having these feelings and the fact that you then not get on with the task in hand? It may come as a surprise to you, but the truth is you’re not alone in the world with this kind of emotion. Procrastination, or as the dictionary puts it ‘the action of delaying or postponing something’ is more common that you imagine. It took me a really long time to realise that it’s a everyday recurrence for many – and that when it happens it’s not the end of the world! Time after time when this happens to me now I come out of the moment much richer and more focussed. Honestly, that really happens. There is a reason for your mind to slip into this kind of mode. The general believe is that it’s not healthy to spend time with your own thoughts. Luckily, there are many more that believes the complete opposite. And I am one of the latter. Taking time out creates clarity in my mind and head. I reflect on issues and figure out how to address them and work through them. Therefore I believe no one should feel uncomfortable and upset when this happens in their lives. It is nothing to be ashamed of. If you work out what the procrastination is about you’ll realise and see you needed a moment to make sure something is either right, wrong or can wait till later. Reading the post by Ric Edelman on How Procrastination Can Help You Accomplish More confirms my believes. In this article Ric puts it very simply and to the point that it actually is ‘one of your most useful tools in the workplace’ – and I can’t agree more. I’ve commented before that ‘taking a step back’ or ‘get up and do something else’ more than often solves the problem. It was quite late within my career working in offices that having such an attitude became clear to me. Many, many times I felt that I need to address an email – or follow up on a voicemail – immediately. For example… a client makes a change to a delivery date bringing it forward with the notion it is now crucial to be completed sooner rather than later. Jumping in head first and start making the changes in your teams’ diaries, increase the pressure on suppliers, etc. in general cause havoc for everyone. Then 10 mins later, the client is back on the phone and now the deadline has changed again – only this time it’s pushed back with days! You go back to everyone, luckily with some good news, however the stress levels have already risen. On top of all, you interrupted that important piece of work you were doing and now you have lost your focus. Was it all necessary? No, not at all. If you only left the new instructions for a bit to ‘simmer’ on the back burner, none of the stress would’ve happened. Don’t get me wrong, we can’t put everything ‘off till later’, but this is where the ‘focus and concentration’ comes in – and perhaps a bit of procrastination? Of course you need to address the issue and figure out if it is as important as they make out or not. I just found that most of the time it’s not needed to storm ahead and ‘fix’ problems immediately. The amazing thing about ‘problems’ is that they do have a habit of fixing themselves – specially if you give it a bit of ‘breathing space’. Do you like the result of whatever you do to be precise? Is it important what you do to be in a particular way? Guess what… I can relate to that. Ever since I can remember there has been an urgency to have stuff this way – or that way. As long as it is the right way. Not a millimetre to the left. Or the right. It needs to be… perfect! Many people in the world make fun of OCD. They criticise those to hell and beyond for wanting an object, a drawn line or dot to be exactly there. Not some place else, just… there! This has obviously spilled into my working life and have many times played havoc in my career. There are not many bosses around that has a ‘flare’ for OCD. In fact, according to an article by Jeff Haden ‘Steve Jobs, and Why Perfection Might Be Your Worst Enemy’ ‘… you would never want a perfectionist as your boss…unless you too suffered from the same obsession’. The read is a great eye opener to those that strive to perfection in every step they take every day. And believe me I know what it is like to only want to take a step if it is perfect. For a very long time doing anything perfect was the only way forward. It was the only way (I thought) I knew. Still to this day not many people will point out that there is no need to ‘make more changes, Evan’ – for whatever reason they keep stum. How wrong of them. Perhaps, in their defence, they don’t know how to handle OCD within people. To reach a state within myself where I am able to control the demands I put on myself is one of life’s best moments. It actually makes me feel more confident than before. It’s a tough lesson to learn, however what a great lesson! I can’t say ‘there is always tomorrow to do it again’ because there may not be a tomorrow. What is true is that I’ve given it my best shot – for now. That, however, is perfection in itself. What could happen tomorrow or the next day is that there maybe something new that will look and work better than what I did today. For instance, creating a website today will most certainly have the need to be changed in a week, a month or 6 months down the line. So the time will come to improve and perhaps even better what I did before. The world we live in evolve all the time and as long as I keep up with evolution it will work perfectly for me. All I can say is take time out to address the OCD in your life if you have it. Understand what it is, why it is there and most of all, tackle it head on. I believe the OCD-demon needs to be there to keep me striving for more – however perfection is not the be and end all of life. It only keeps me going.